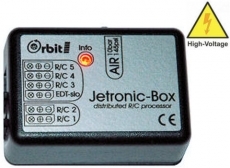 The JETRONIC-BOX is a universal R/C processor for use in medium-sized and large model aircraft. Two R/C inputs can be programmed to control up to three R/C outputs, for example to implement a landing gear with door control or a cockpit with open/close and lock functions. 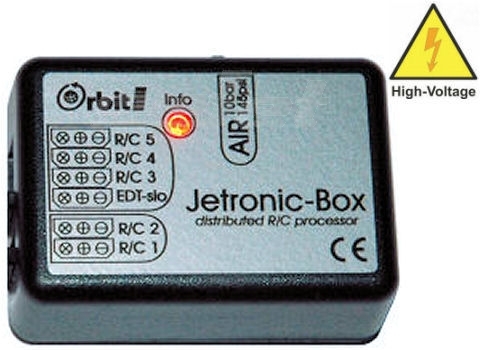 All cases where an R/C transmitter alone with microprocessor control is not sufficient.